Think beyond wine pairings this fall when hanging out with friends. In addition to simply serving over ice, Strongbow’s Artisanal Blend can be incorporated into classic cocktails and mixed into custom creations, like an Artisanal Maple Mimosa. Artisanal Blend’s versatile flavor profile can also be paired in a variety of exciting new ways – from an ingredient in a tasty ‘apple-tizer’ like apple butter served alongside a cheese platter. Gluten Free with no artificial flavors or colors, Strongbow Hard Cider is a natural crowd pleaser. In a cocktail shaker, combine first three ingredients. Add ice and shake well. Strain into ice filled glass and top with Strongbow Artisanal Blend Hard Apple Cider. Garnish with mirco sunflower sprout. A south-of-the-border-inspired concoction where smoky mezcal and bright apple meet sweet honey and sour lemon. In a cocktail shaker, combine first three ingredients. Add ice and shake well. Strain into ice filled glass and top with Strongbow Gold Apple Hard Cider. Garnish with micro herb. A bold blend of rich rum and crisp apple flavors with soothing notes of sweet honey and zesty lemon. In a cocktail shaker, combine first two ingredients. Add ice and shake well. Strain into ice filled glass and top with Strongbow Gold Apple Hard Cider. Garnish with cinnamon stick. Steep 1-2 cinnamon sticks in a quart of water, bring to a slow simmer. Remove from heat and let sticks steep for 10 minutes. Remove sticks and let liquid cool to room temperature. Add equal volume of sugar to liquid and stir until completely dissolved. Strain the syrup through fine mesh. The breakfast time essentials of spicy cinnamon and delicious apple are brought to the golden hour with the flavors of toasty scotch and crisp cider. In a cocktail shaker, combine first three ingredients. Add ice and shake well. Strain into ice filled glass and top with Strongbow Artisanal Blend Hard Apple Cider. Garnish with pansy. A dark-fruit and earthy-flavored interpretation of the traditional Collins. 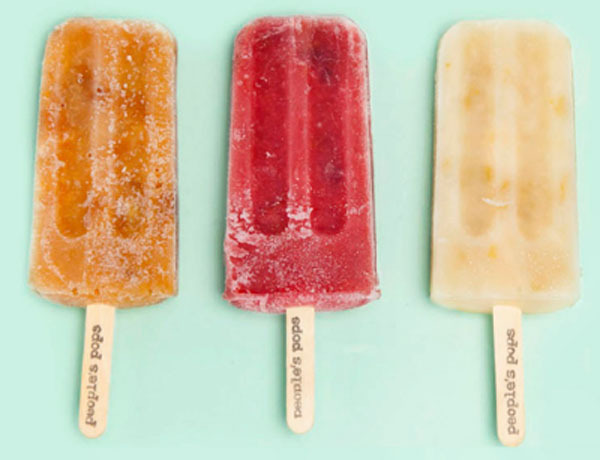 Originally a passion project between three friends, started in 2008, People’s Pops serves shaved ice and simple but bright colored popsicles using only produce from New York’s local greenmarkets and organic simple syrup. There are over 100 seasonal flavors and around 3,000 pops are made a day. Locations include Manhattan, Smorgasburg and Brooklyn Flea. 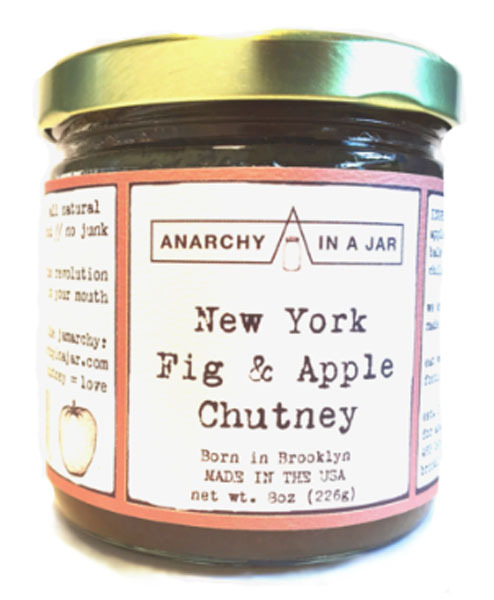 Founder and CEO Laena McCarthy started Anarchy in a Jar in 2009 by making jam in her friend’s restaurant kitchens in the early morning between service hours. 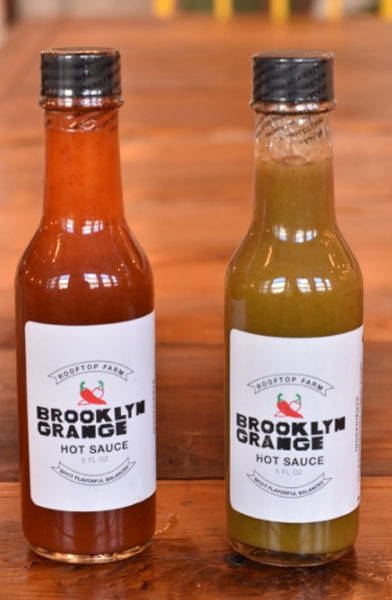 It is now a plant-based condiment powerhouse, using small-batch techniques and ethical sourcing to create jam, mustard and skincare. Products are sold in stores throughout the nation and online. How to recreate at home: Create an artisanal fall happy hour by serving a soft cheese topped with fig spread – from the supermarket or local farmer’s market – accompanied by pretzels and a grainy mustard. Serve alongside chilled Strongbow Artisanal Blend. 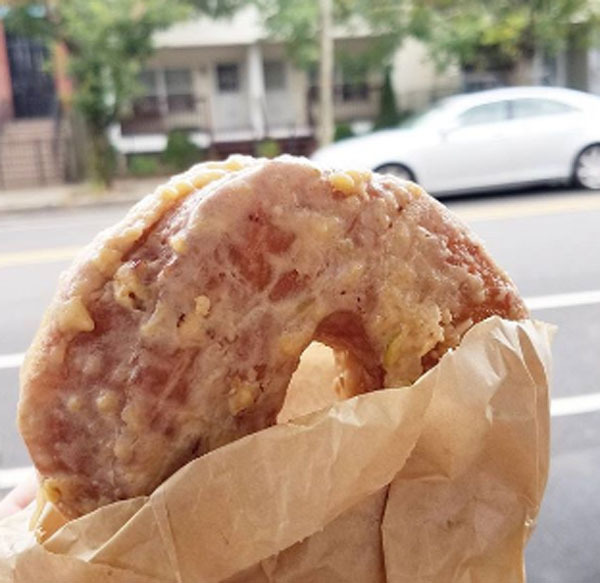 Doughnut Plant opened its doors in 1994 and hand crafts fresh yeast and cake doughnuts every day. All jams and fillings are made in-house, contain no trans-fats or eggs and rotate unique and inspired flavors seasonally. Locations include Brooklyn, Queens and Manhattan. How to recreate at home: Store-bought original doughnuts or farmer’s market apple cider doughnuts can be topped with a simple, home-made glaze to upgrade breakfast or “wow” house guests. Just use Strongbow Artisanal Blend instead of water in your favorite glaze recipe. Brooklyn Grange is the leading rooftop farming and green roofing business in the US, located on two roofs in Brooklyn and Long Island City, with over 50,000 lbs. of organically-cultivated producer grown per year. Brooklyn Grange also hosts events and educational programming and partners with non-profits throughout New York to promote healthy communities. How to recreate at home: Make a Michelada at home! Fill the base of a glass with lime juice, hot sauce, Worcestershire sauce, a pinch of salt and pour Strongbow Artisanal Blend on top! Originally, a buyer for Dean & DeLuca, Zeke Freeman discovered Beehive Bee Products, Inc. and soon became an advisor and majority owner. He creates honey, tea, beeswax candles and body products. In 2013, Zeke created the Bee Raw Foundation to help save endangered bees and promote sustainability. How to recreate at home: For a seasonal brunch, serve Strongbow Artisanal Blend mimosas (use Strongbow instead of champagne with a splash of fruit juice) alongside honey toast or apples with honey.